Best-selling Author. Mood & Craving Expert. Julia’s first act as outpatient programs director in a large non-profit facility in San Francisco, The Henry Ohlhoff House, was to begin hiring nutritionists to research the link between nutrition, emotion, and addiction. By 1986 this exploration had led to the creation of an exciting new model of treatment that combined innovative brain-targeted neuro-nutrient therapy with conventional addiction counseling, education, and peer support. It included nutritional anti-craving protocols for alcohol and drug addicts, which transformed their otherwise mostly futile efforts to recover. In 1988, Ross founded a private outpatient program in Mill Valley, California that further developed this model. By 1997, it had added a program that was providing effective nutritional alternatives to antidepressant drugs. Its food craving eradication program was by then fully developed and made famous soon after in her first best-selling book, The Diet Cure (1999). Julia is a popular and compelling speaker who has made hundreds of presentations to introduce professionals and the public to the extraordinary benefits of nutritional therapy. 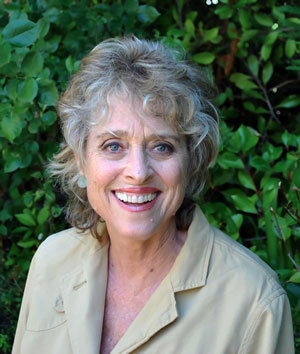 In addition to years of lecturing throughout California, the U.S. and Canada, Julia began teaching and training for health professionals starting in 1994 at John F. Kennedy University’s Graduate Psychology Program. She is currently an instructor in the Nutrition and Addiction Program at Drexel University. She established her own advanced training and certification programs, both live and distance, for health professionals in 2004 called The NeuroNutrient Therapy Institute (NNTI). Julia is the author of The Diet Cure, The Mood Cure, and The Craving Cure; she has been the subject of many articles in publication from Vogue Magazine to The Journal of Molecular Psychiatry. Her own articles have been published in Counselor Magazine, the Journal of the American Psychological Association, the Townsend Letter, Practical Pain Management and elsewhere. She has frequently appeared as an expert on radio, television, and the internet: An NBC special on The Mood Cure’s approach to depression was aired several times throughout the U.S. and a CBN special on how amino acid therapies eliminate food cravings generated 50,000 calls to the producers. Julia is now the Director of The Craving Cure Virtual Clinic and The NeuroNutrient Therapy Institute based in Mill Valley, California.